Families of victims of the Hillsborough disaster have vowed to challenge a decision to drop charges against a former police chief. 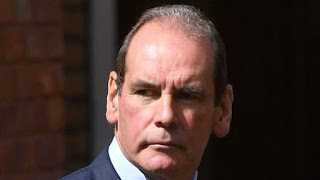 Sir Norman Bettison, ex-chief inspector of West Yorkshire Police, will no longer face prosecution for misconduct in a public office. He said the Crown Prosecution Service's decision had "retained my faith in the rule of law" and "vindicated" his denial of doing anything wrong. The CPS claimed there had been "significant developments" since the charge in June 2017 that had "affected the available evidence". Margaret Aspinall, chairwoman of the Hillsborough Family Support Group, said the group had "grave concerns about the handling of this case". "We will be exercising our right to an independent review under the right to review scheme," she confirmed. "It is our view that the wrong charge was brought in the first place and we will be using the review process to argue this point strongly." Steve Kelly, the brother of victim Michael, 38, said: "I'm absolutely devastated. I feel as if I've been beaten up this morning." Lou Brookes, the sister of victim Andrew, added: "I'm not shocked, I totally expected it and predicted it. I have no faith and no trust or confidence in the CPS, the IPCC and Operation Resolve."